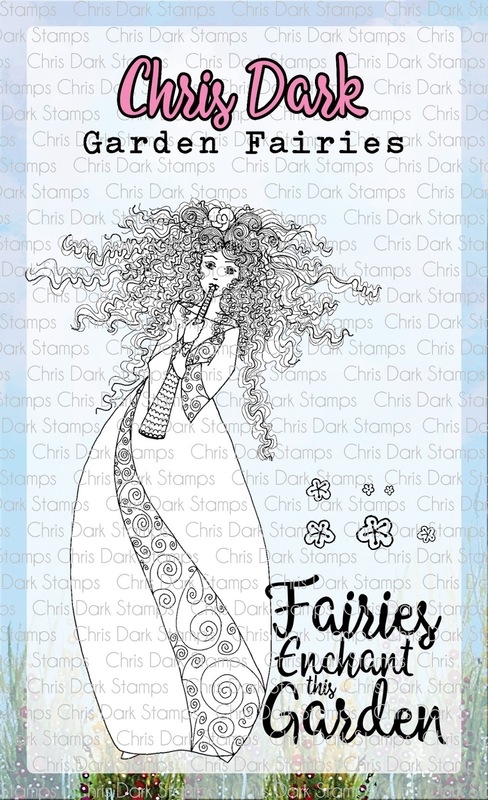 StarTrish Design: My own range of rubber stamps! The STAMPlorations Giving Thanks Blog Hop! Today I'm taking part in the STAMPlorations 3rd Annual giving thanks blog hop! I created a 3D assemblage using one of my Whimsygirl stamps, and some amazing images from STAMPlorations! Winners will be announced on December 10 in the November Challenges and Hops winners post. Winners have until December 31 to claim their prize. There are a huge 36 stops along the way, with some amazing inspiration to be found! Good luck, and have fun hopping! 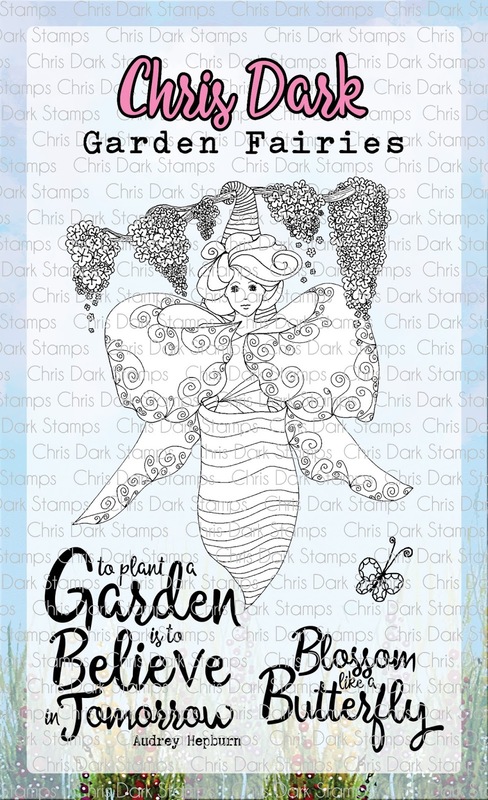 The very talented Chris Dark has designed a collection of beautiful Garden Fairies Stamps, the Butterfly Catcher, Butterfly Emerges, Butterfly Fairy, and Musical fairy, they are a larger set and each includes a beautiful sentiment. To add extra fun to our blog hop... we are offering up a prize! of the whole garden fairies collection to one lucky winner. A winner will be chosen at RANDOM from any of the designer's blogs and the PaperbabeStamps Blog to win. Deadline: You have until midnight on Sunday, 2nd April to leave a comment. 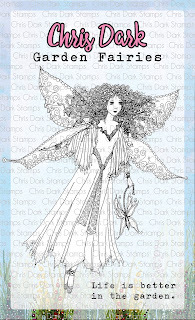 Please check the Paperbabe Stamps blog on Wednesday, 5th April to see if you are one of our lucky winners. 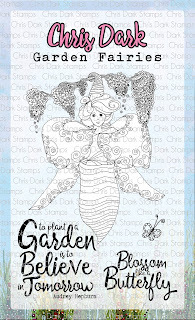 Today, we’ve enlisted some super talented designers to inspire you with ideas on how to use these beautiful new garden fairies! Hop along for lots of fun and inspiration! However..... Today I am thrilled to be a guest designer for A Vintage Journey! The current theme is 'Words That Are Special', and my project is all about one of my favorite words.. 'star'. There is a full step by step over on the Vintage Journey blog today, so I'll share just a sneaky peek with you here now! I would love it if you would hop on over and take a look... HERE is the link. I'm so thrilled and honoured to be representing the Craft Stamper Take It Make It Blog challenge in today's Giving Thanks Blog Hop! STAMPlorations are having a fabulous blog hop today, all about Giving Thanks! Lots of designers have all created a project using one of the Giving Thanks bundles, a great set that includes stamps, a stencil and dies! This was sprayed with a variety of inks to give a multi coloured look! The pumpkin was stamped onto purple and teal painted card, then cut out using the matching die! I used the purple leaves on a the teal pumpkin..
As you can see, I also added one of my hand drawn Whimsy Girls! I think she looks very grateful for her fabulous teal pumpkin, don't you?! As well as the fabulous eye candy to be seen along the hop (more about that in a minute! ), there are also prizes to be won! 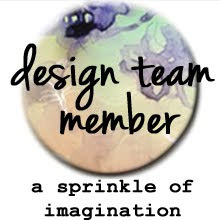 ONE (1) winner randomly drawn from all comments left on the STAMPlorations blog and participating designers blogs will receive a $50 gift certificate. THREE (3) winners randomly drawn from all comments left on the STAMPlorations blog and participating designers blogs will each receive a $20 gift certificate to the shop. ONE (1) commenter randomly drawn from our Facebook page will win a $15 gift certificate for herself and a $15 gift certificate for one friend she tags in her comment. You can also create your own 'Giving Thanks' project, and link it up over on the main STAMPlorations blog, there are prizes to be won that way too! Winners will be announced on December 9 in the November Challenges and Hops winners post. Winners have until December 20 to claim their prize. Have a great hop everyone! Today I wanted to show you one of my new WordGirl stamps, along with a step by step tutorial! This new release (shop link in the tab at the top!) is by popular request :) My 'Dream Big' WordGirl has been popular, but people seemed to want her without her words as well... so here she is! Firstly, stamp the image twice..
Once this is dry, place the 'stencil' on top. As I knew the girl was going to be cut out, the surrounding area didn't matter. So, I just glued the stencil around the edges and stuck it to the bottom image! At this point, I decided less was more, and removed the stencil! So now you have a girl with a decorated dress! And then I added her (with a tiny clay heart attatched!) to the frame! 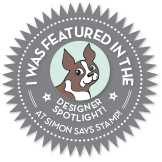 I am entering this piece into the Simon Says Stamp Monday Challenge this week: Stamp it! It's Paperbabe Stamps third Anniversary month and we are here today to share a sampling of the NEW Paperbabe Stamps JULY 2016 release with you! FOUR new mini stamp sets and Three new substrate kits will be available to purchase on July 30th. You will find our new products HERE once they go live. 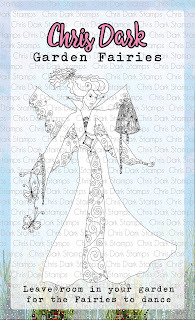 a £25 gift voucher to choose what you like in the Paperbabe Stamps online store. Two winners will be chosen at RANDOM from any of the designer's blogs and the PaperbabeStamps Blog to win. Deadline: You have until midnight on Sunday, 31st July to leave a comment. 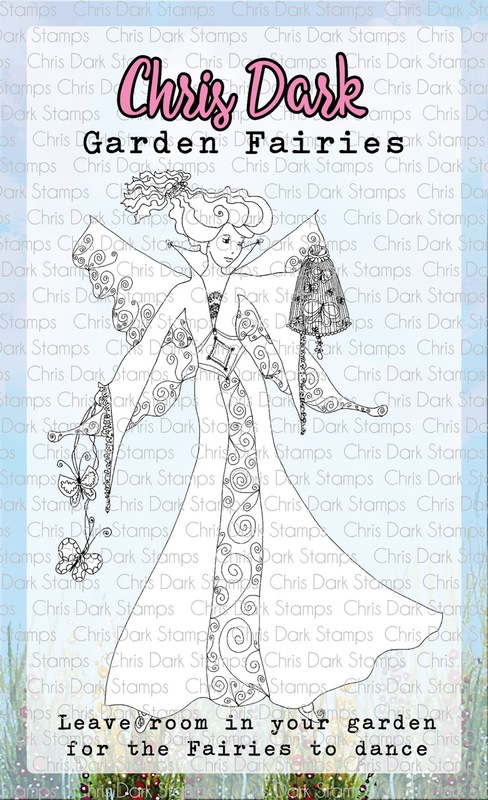 Please check the Paperbabe Stamps blog on Monday, 1st August to see if you are one of our lucky winners. I hope you enjoy our fun hop! I had that 'whistle while you work' thing in my head... a whimsy girl helped out by her woodland creature friends whilst she hangs the washing out!!! The animals were stamped, cut out and then glued to the corresponding MDF shaped pieces. Nice and chunky for that 3D look! The hearts and the 'smile' word are also MDF shapes, attached to wires to add that extra bit of detail. I drew a whimsygirl, and added her into the scene. I think she rather likes her critter friends! Your next stop along the way is the amazingly talented Kim Dellow! My new series of rubber stamps has just launched over in my Etsy shop, so I thought I would share a couple of examples of art created with them! The first is a little 3D creation, another StarTrishdesign/Rubber Dance collaboration! I coloured WhimsyGirl 3 in soft pastel shades, but kept the Rubber Dance flowers black and white. I think the flowers look stunning without colour, and add a pefect backdrop... is she dancing through the daisies?! 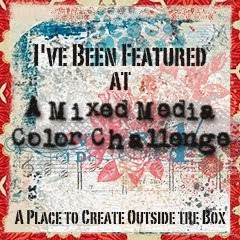 My second creation featured another Whimsygirl, this one is Whimsygirl4. Very pink and summery I thought! Her pink hair and dress are echoed in the mainly pink, smeared paint background! Today I'm sharing another Rubber Dance/Startrish Design collaboration! You'll find more projects, and more information on how to buy this amazing Textured Flowers stamp set (along with many more fabulous designs!) over on her blog HERE! I chopped off the bigger flower she was holding (in case you were wondering! ), and glued on a smaller daisy from the Textured Flowers plate by Rubber Dance. 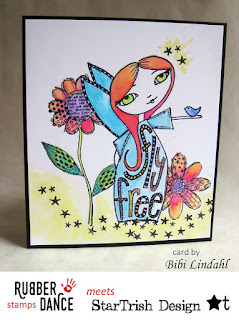 The frame holds another painty background, all the stamping on this is also from the same Rubber Dance plate.... which is why I love it, so versatile! I took the leaves from the plate and stamped them 4 times onto a scrap of painty card, cut them out and turned them into a butterfly! Check back tomorrow..... there will be a sneak preview of my NEW WhimsyGirl series!! I really REALLY meant to do more posts with art work to show off my Whimsy Girls! 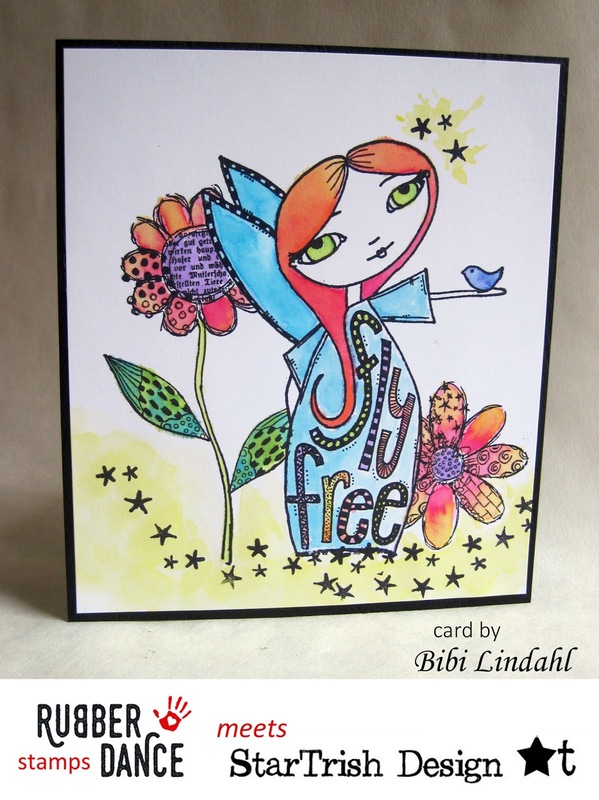 Bibi from the amazing Rubber Dance stamp company and I have decided to do a little collaboration. I've created a few art pieces using my stamps alongside THIS fabulous plate from Rubber Dance! My girls will be appearing on some Bibi created, Rubber Dance art soon! As ever, there is a smeared, messy paint background involved! If you've ever wondered how to do these, I've made videos :) Check out the links on the tab under the banner at the top of the blog! The line drawing style just goes so well with the girls! My 'Make A Wish' Wordgirl4 was actually given a sensible hair colour for once! Don't know quite what happened there! I'll be back tomorrow with another Trish/Rubber Dance creation! 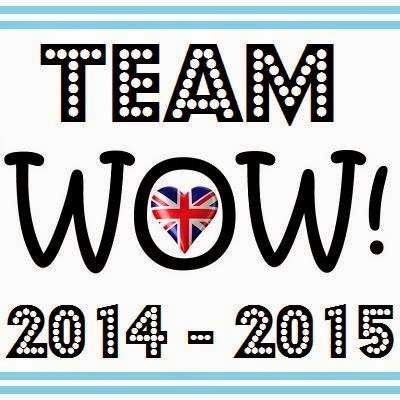 Regular viewers here may notice the old blog has had a bit of a makeover.... why? Today I am launching my first ever range of rubber stamps! It's very very scary, but also a bit exciting too! As you all know, I've been addicted to rubber (stamps!) for hundreds of years :) I thought it was about time I actually stopped thinking about creating my own, and actually DID something! The Wordgirls are my hand drawn whimsy girls that you may have seen over the past couple of years, all with a zentangle-y phrase in their dresses. My 'poster girl' is below..... she seems to sum up today for me! The stamps are unmounted, deep etched red rubber, and are a nice chunky size (round about 6cm by 12cm depending on the design) Perfect for Art Journalling, putting on canvases or any other kind of art panel. Just another example of art work I've created with the girls, there will be lots more from both me and some talented friends over the next few days! Hi there! 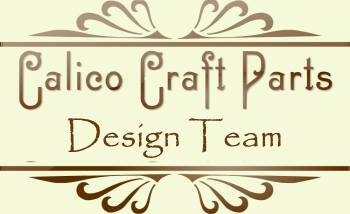 I'm Trish Latimer, editor of the best Mixed Media Magazine around, Craft Stamper! Wonderful Team to be part of! I hope my work gives some of you inspiration, in fact I love it when then that happens! However, please be aware that all design work, text and projects remain under my personal copyright. Please do not copy anything you see on this blog and then publish it, either on the internet or in a magazine. Please do not copy anything you see here and then make money from my designs, either by selling them or using them in a workshop. Thank you!! !